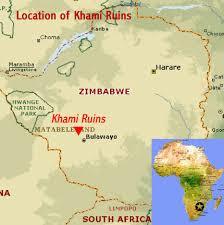 Today we will be talking about the remnants of a great stone civilization in southern Africa: the city of Khami. The Khami Ruins are the remnants of the capital city of the Kingdom of Butua of the Torwa dynasty . It is located on the west bank of the Khami river, 22 km west of Bulawayo in southern Zimbabwe. It was the capital of the Torwa dynasty for about 200 years from AD 1450 to AD 1644. It emerged at the time of the disappearance of Great Zimbabwe. Today, the site of the Khami ruins is a national monument and a UNESCO World Heritage Site since 1986. The site is dominated by a series of terraced stone ruins, often highly decorated. It reveals seven built-up areas occupied by the royal family with open areas in the valley occupied by the rest of the population. The complex comprises circular, sometimes terraced, artificial platforms encased by dry stone walls. The beautifully decorated 6m-high by 68m-long retaining wall of the Precipice ruin bears a checkerboard design along its entire length. The imposing front façade marked the main entrance. The Precipice Ruin was a ritual center with the longest decorated stonewall of its kind in the entire sub-region. Nearby are the Cross Ruin with its mysterious stone Dominican Cross, believed to have been placed by a contemporary missionary, and the Northern Platform once used to process gold. The nearby Passage Ruin consists of two adjoining semicircular platforms accessed by a narrow passageway. The platforms, rising 2-7 m above ground, carried clay huts and courtyards where the rest of the populations lived. The remnants of cattle kraals and huts for ordinary people can be seen from the Hill Complex. The ruins include a royal enclosure forming the Hill Complex located on higher grounds, stone walls and hut platforms. There are also ruins on the eastern side of the Khami River. 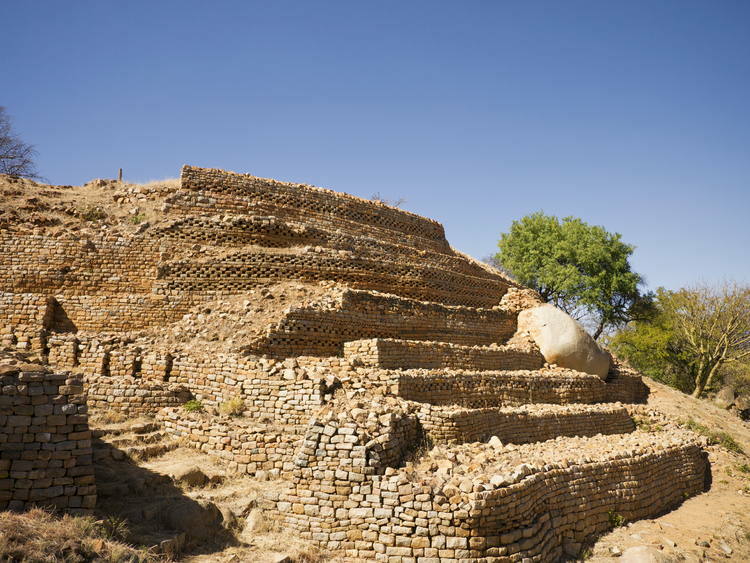 To build the structures at Khami required engineering and architectural feats, since the stone found at Khami (laminar granite) was different from that found in other areas of Zimbabwe (biotite). This stone was harder to quarry and produced shapeless building stone; over 60% of the stone produced at these quarries would not have been of building quality. The building blocks thus needed to be shaped, but even then the stones were not suitable for building free-standing dry stone walls. 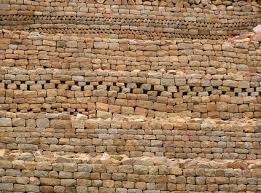 The builders of Khami thus made an innovation and produced retaining walls instead. Moreover, building platforms made the houses cooler than those in the open areas below. 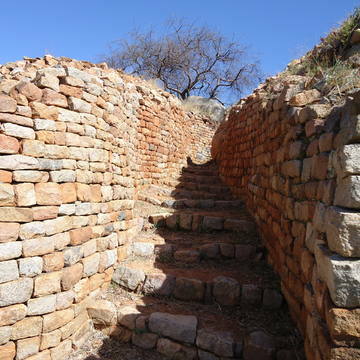 Khami’s architecture conforms to that of Great Zimbabwe in a number of archaeological and architectural aspects but it possesses certain features particular to itself and its successors such as Danangombe and Zinjanja. 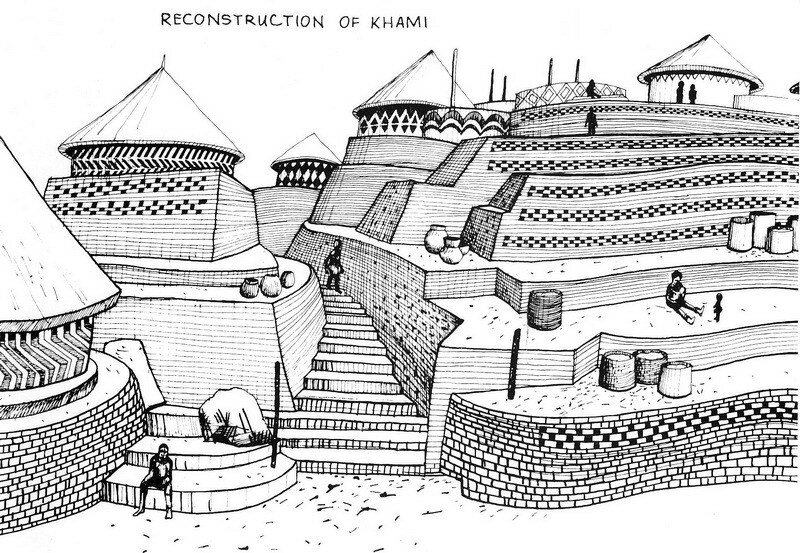 Retaining walls and elaborate decorations were first expressed in the architectural history of the sub-region at Khami. Archaeological finds include 16th century Rhineland stoneware, Ming porcelain pieces which date back to the reign of Wan-Li (1573-1691), Portuguese imitations of 17th-century Chinese porcelain, 17th-century Spanish silverware, etc. These indicate that Khami was a major centre of trade, presumably linked (like Mapungubwe and Great Zimbabwe before it) to the Swahili ports on the East Africa coast. Unfortunately, Khami was invaded by Changamire Dombo, around 1683, who led a Rozwi army from the Mwenemutapa (Monomotapa) state. The Rozwi made Danangombe (Dhlo-Dhlo) another area of the Khami site as the new capital of their empire, the Rozwi Empire. In the 1830s, Ndebele raiders displaced the Rozwi from Khami. A small site museum provides useful background information to the site itself. If you are ever in the vicinity, do not forget to visit this amazing site, remnant of a great stone civilization.